Cook Custom Homes is pleased to announce the Grand Opening of our show home at The Point in Patterson Heights. More details at www.cookcustomhomes.ca/thepoint or click here to view/download our brochure. Cook’s luxury home expertise and master craftsman standards are complementing the development’s unique architectural theme: A modernized take on Frank Lloyd Wright’s “Prairie Style,” dubbed Modern Prairie by Jenkins Architecture, designer of The Point. 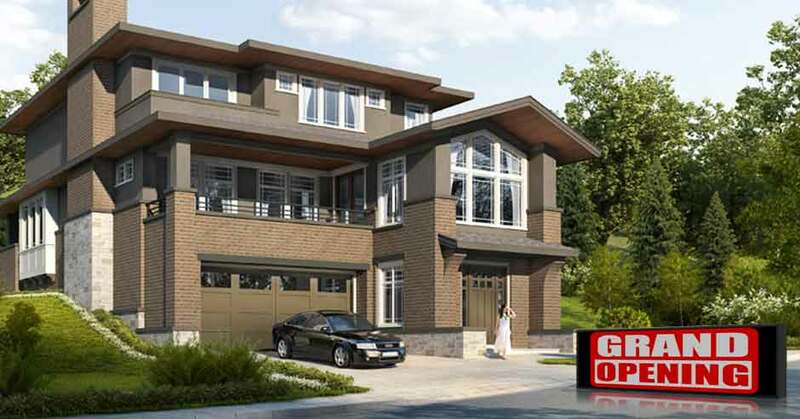 Our show home features dramatic lines and stone clad exteriors that convey pride, strength and permanence of Calgary. Other builders in this exclusive new community by Quinn Corporation will be welcoming visitors as well. See you then!